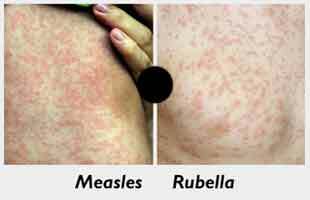 Shimla: Nearly 18.6 lakh children, up to the age of 15 years, would be vaccinated against Measles and Rubella (MR) under an immunisation programme to be launched by this month-end, an official said. It will be the biggest ever health campaign in the hill state, wherein 2,760 teams will be pressed into service to achieve the target, Mission Director, State National Health Mission (NHM), Pankaj Rai said. “The state had initiated preparations for this campaign from May and Himachal Pradesh was among the eight states where the programme will be launched in the second phase,” he said at a media workshop here. Rai said that state-level meetings and workshops had been conducted by NHM along with various stakeholders and partner agencies to make the campaign a success. The key to achieving more than 95 percent coverage in the state will depend on the implementation school-based strategies and will cover more than 85 per cent of the total targeted children, he said. The campaign targets to vaccinate approximately 41 crore children in the age group of nine months to less than 15 years across the country over a period of two years. The first phase of the campaign commenced in Tamilnadu, Karnataka, Goa, Lakshdweep and Puducherry in February 2017. “Immunisation is one of the most effective and cost- effective ways to protect children against diseases and by achieving total coverage, we can make ensure that the benefits of life-saving vaccines reach every child,” Deputy Commissioner, Ministry of Health and Family Welfare, Dr Pradeep Haldar said.